Adam F. Goldberg, Executive Producer of ABC-TV's hit comedy, The Goldbergs, considers the movie Die Hard, "the best Christmas Movie of All Time." He and the show he created will pay homage to the movie's 30th anniversary with an episode entitled "Yipee Kay-Yay, Melon Farmer," airing on Wednesday, December 12 on ABC-TV at 8 p.m. EST. 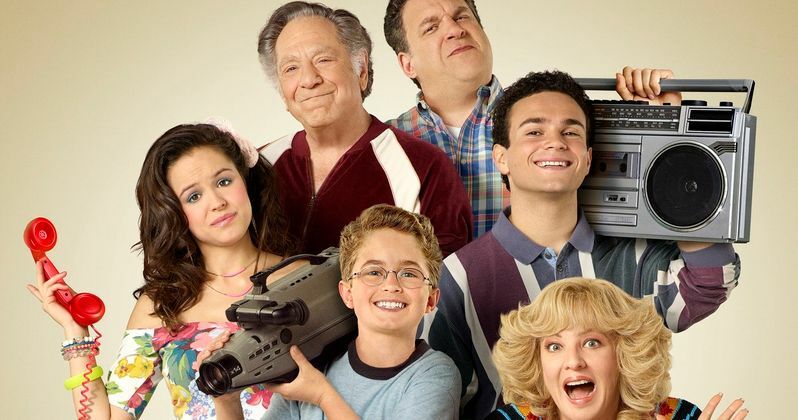 The Goldbergs is an autobiography of Goldberg's experiences growing up in a Philadelphia-suburban family in the 1980s, and he will often insert recreations of his personal life into the show. This all-new episode rekindles one of Goldberg's greatest childhood upsets when the movie Die Hard edited its most famous line, "Yipee Kay-Yay (expletive)" for television. "If you grew up in the 80s, you know how big a deal it was when your favorite movie finally aired on TV. Unfortunately, that usually meant a lot of stuff being edited out or cleaned up for kids. I remember how excited I was to show my family the greatest Christmas movie ever, Die Hard," recalled Goldberg. "I shushed everyone into silence in anticipation for John McClane's iconic line. But they had dubbed it to make him say, 'Yippee Ki Yay, Melon Farmer!'" Adam Goldberg went on to explain his confusion surrounding John McClane's toned down demeanor. "I was like, what is happening?" said Goldberg. "That doesn't make any sense! What's a melon farmer? I'll never forget my disappointment and confusion, and when I decided to do a Die Hard tribute episode, I knew I had to include that moment from my childhood." In this episode, Uncle Marvin (Rick Fogler) arrives with some cockamamie new scheme claiming to be a television star. Adam (Sean Giambrone) decides to collaborate with his Uncle to write, produce and direct a "Die Hard" rip-off action movie. Marvin promises to use his new celebrity to ensure that their Die Hard rip-off will make it to the big screen! "There's a moment in the episode where Adam is pitching a series of different Die Hard rip-off ideas to Marvin to see which story they're going to go with," said Goldberg. "We came up with so many great ones that didn't make it into the episode because we just didn't have enough time. I still love "Die Hard at a Bar Mitzvah - PRAY HARD." Additionally, this episode highlights the different ways people celebrate the Holidays and uncovers the Holidays are always best when surrounded by family and friends. Adam F. Goldberg and Doug Robinson are executive producers. The episode is produced by Adam F. Goldberg Productions, Doug Robinson Productions, and Happy Madison in association with Sony Pictures Television.